2018 Music Director Patricia Kopatchinskaja discuss the life changing quality of Michael Hersch’s music. 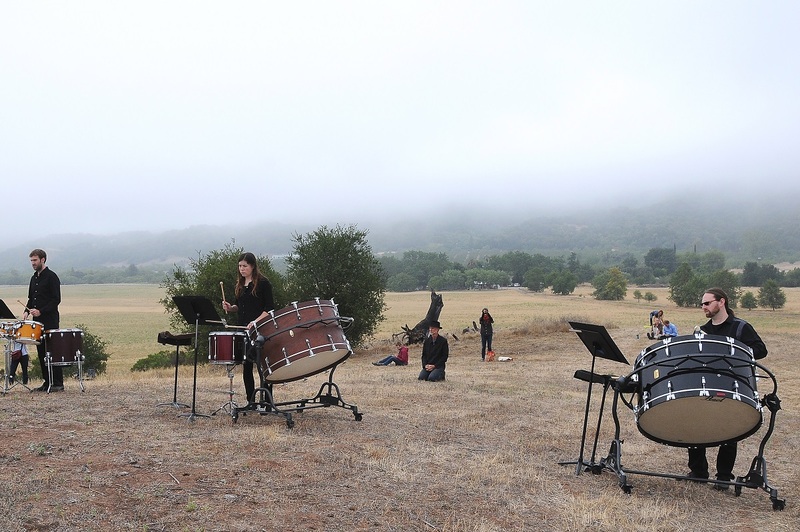 The Ojai Music Festival will present the world premiere I Hope We Get A Chance To Visit Soon by Mr. Hersch at the evening concert on Friday, June 8. Michael Hersch’s solo and chamber works have appeared around the globe. We are honored to welcome Mr. Hersch for his Ojai Festival debut as a composer and performer during the 2018 Festival. I Hope We Get A Chance To Visit Soon is commissioned by the Ojai Music Festival, Cal Performances, Aldeburgh Festival, and PNReview. As a freelance musician living and working in New York City, it has become unquestionably clear that being from Ojai is as distinctive a part of my background as my primary instrument or the schools I attended. Collaborating as often as I do with other musicians, the response I typically hear from those who have visited the valley or attended the Music Festival is something along the lines of: “Wait, you’re actually from there?” Ojai, even in the minds of those who have only briefly experienced it, is a kind of otherworldly oasis. Growing up in Ojai, I now realize, was similarly uncommon in its richness of exposure to the arts and artists. My first musical memories are of my father plunking out bass lines on our upright piano in preparation for rehearsals with his singing group, Madrigali. A long-standing Ojai treasure, Madrigali remains a charming, lively vocal ensemble under the vibrant direction of Jaye Hersh. As a child, I sang with Madrigali’s youth incarnation, Harmonia Mundi. Both groups were particularly active in the summers, when we gave concerts on the Libbey Bowl lawn and provided incidental music for the Ojai Shakespeare Festival’s annual productions. In retrospect, performing with Madrigali and Harmonia Mundi laid the foundation for my love of vocal timbres, a cappella singing, and tight harmonies—elements very much alive in my work today. 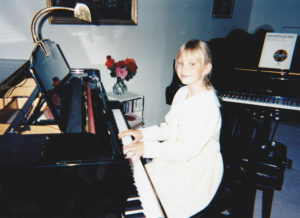 Additiona lly, I took piano lessons at the Suzuki Piano School of Ojai with Patricia Bean, who patiently taught me foundational keyboard skills that continue to permeate every aspect of my teaching. I first put those skills to use in the (now-defunct) Ojai Lutheran Church, where the congregation would caringly listen to my attempts to concertize. It was also at that church that I had the good fortune to play and sing in the worship band with Bill Wagner, who exemplified well-rounded musicianship in wearing the many hats of vocalist, keyboardist, trumpet player, band leader, improviser, arranger, and more. Perhaps most importantly, the ethos of the band was simple: using our musical talents to give back to our little community, a sentiment I have seen echoed across the work of many Ojai musicians. This was similarly evident in the BRAVO Program’s involvement in local schools with presentations (such as the instrument “petting zoo”), which were perceptibly driven by a love of and belief in the value of spending part of one’s day or week being musical. I was lucky to keep working with Bill Wagner and Jaye Hersh in the ensembles at Nordhoff High School, where the two comprised an effective team that ran a small music department with big ambitions—and, as evidenced by a packed trophy case and endless award plaques, nearly always exceeded them. I can still recall how large the seniors loomed—many of whom have gone on to successful performing careers—while still a freshman struggling to hold up my cymbals in marching band. Taking part in numerous instrumental and vocal groups at Nordhoff, I was fortunate to also play percussion with the Ojai Youth Symphony headed by Andy Radford, where I got my first taste of performing orchestral classics. Wallflower that I was, it is nothing short of a miracle that Bill, Jaye, and Andy were able to look past my painfully shy exterior and encourage a budding musician who has now, in turn, taught hundreds of students. Underlying all of this, my parents, Wayne and Jackie Francis, have tirelessly supported my zigzagging music career, and even now continue to volunteer with the Festival and find ways to sustain Ojai’s musical livelihood. While I believe these individuals had the strength of character to encourage me regardless of their surroundings, I also think a certain artistic essence holds sway in the collective Ojai mindset, making this kind of boundless support by valley citizens the norm rather than the exception. The more I teach, the more I have come to see music-making as a practice that not only transcends a single class or academic subject, but is a foundational part of the human experience. While studying Edwin Gordon’s Music Learning Theory in my master’s program, one line in the teacher’s manual would often jump out: It is important to remember that everyone has the potential to achieve in music, and some students have the potential to achieve more in music than in any other subject. While the extrinsic benefits of studying music are many (and perhaps among the most commonly touted, such as learning soft skills like confidence, discipline, cooperation, etc. 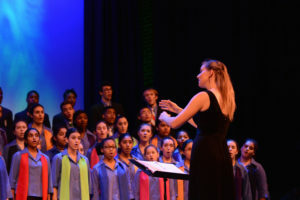 ), music-making is, at its core, intrinsically worthwhile: it provides an outlet for expressing oneself through singing, playing, and moving to music in ways no other subjects or practices can replicate or replace. Applying aesthetics to performance, it can provide a window to another time, tradition, or culture, and as music-makers we can discuss how to integrate new and different ideas into our playing and, ultimately, our lives. “Harmony,” already a rich interpersonal concept, enjoys added depth and necessity in musical contexts. The farther my career has taken me from Ojai, the more comforting it has been to discover reminders of the valley sprinkled across various music communities, such as a composition professor sporting a Music Festival cap, or hearing east coast colleagues wistfully describe playing in past Festivals. When I visit the valley now, it hurts to see that some programs that were so formative in my early musical life have faded. However, it is also heartening that programs such as BRAVO are thriving and growing, and I have no doubt the Ojai Valley will continue to nurture its artists into the future. Dubbed “the next generation of a cappella specialist” by Pitch Perfect and The Sing-Off vocal producer Deke Sharon, Kari Francis is an avid vocalist, arranger, and educator. She has shared the stage with Taylor Swift, Imogen Heap, and competed on Season 3 of NBC’s The Sing-Off with Kinfolk 9. She currently directs the contemporary a cappella ensemble at CUNY Hunter College and is a choral teaching artist with Midori & Friends. Kari has been an active lecturer and clinician since 2009, giving workshops on musicianship, arranging, and vocal percussion at music festivals and vocal camps across the States. We are getting ready to begin single ticket sales! Check in with us tomorrow. 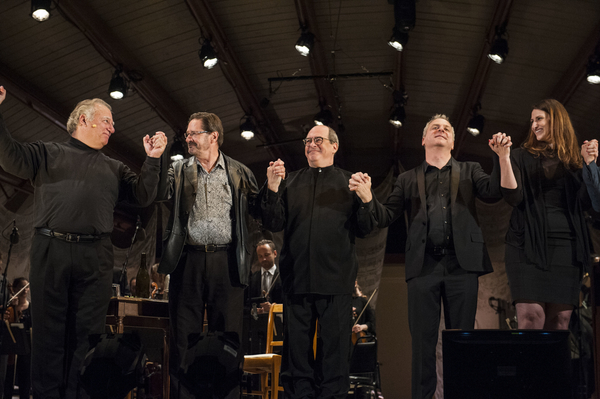 (FEBRUARY 9, 2016) — As the Ojai Music Festival anticipates the upcoming 70th Festival (June 9-12, 2016) with Music Director Peter Sellars, Artistic Director Thomas W. Morris announces the artists who will serve as Music Directors through the Festival’s 75th anniversary in 2021. Following previously announced future music directors Vijay Iyer (June 8-11, 2017) and Esa-Pekka Salonen (June 7-10, 2018), soprano/conductor Barbara Hannigan will be the 2019 music director (June 6-9), violinist Patricia Kopatchinskaja in 2020 (June 11-14) and pianist Mitsuko Uchida in 2021 (June 10-13). Since the late 1940’s, the Ojai Music Festival’s tradition has been to welcome a new Music Director each year to ensure vitality and diversity in programming across Festivals. Soprano/conductor Barbara Hannigan is known worldwide as a soprano of vital expressive force directed by exceptional technique. She is now bringing that same high energy and expertise to her varied activities as a conductor, while continuing to work as a singer with the most prominent conductors and theater directors. Blessed with a voice at once pure and fiery, she has arrived, through challenging and diverse repertory choices, at a point of complete control, intensity, and versatility. Much sought after in contemporary music (she has given more than 80 world premieres – many of which she has commissioned), she is no less brilliant and devoted a performer of Baroque and music from the Classical era. Bringing freshness to older music and authority to new, she is among the very few singers whose every performance is an occasion. She is a frequent guest of the Berliner Philharmoniker, which recently commissioned the song cycle let me tell you by Hans Abrahamsen, who won the prestigious Grawemeyer Award and is being widely performed around the world. In 2014 she had the rare honor of an invitation as Artiste Étoile to the Lucerne Festival, where she conducted, gave master classes, and premiered an orchestral work written for her by Unsuk Chin. György Ligeti and Henri Dutilleux both regarded her as their soprano of choice. Her startling performances of Ligeti’s Mysteries of the Macabre have been acclaimed widely, as has her expressive fullness in Dutilleux’s Correspondances. Her recording of this work has garnered awards from Gramophone, Edison, and Victoires de la Musique. Other awards include “Sängerin des Jahres” (Opernwelt, 2013) and “Personalité Musicale de l’Année” (Syndicat de la Presse Francaise, 2012). She has worked extensively with Pierre Boulez, George Benjamin, Gerald Barry, Salvatore Sciarrino, Pascal Dusapin, and Hans Abrahamsen, among many others. In 2020, violinist Patricia Kopatchinskaja will make her Ojai debut. Kopatchinskaja‘s versatility shows itself in her diverse repertoire, ranging from baroque and classical often played on gut strings, to new commissions and re-interpretations of modern masterworks. Winner of the Royal Philharmonic Society Instrumentalist of the Year Award in 2014, Kopatchinskaja made her debut with the Berliner Philharmoniker in the 2014/15 season performing Peter Eötvös’ DoReMi under the baton of the composer as part of Musikfest Berlin. Other highlights that season included her debut with the Tonhalle-Orchester Zürich and performances with the Rotterdam Philharmonic Orchestra, Radio-Sinfonieorchester Stuttgart des SWR/Sir Roger Norrington, and the Philharmonia Orchestra/Vladimir Ashkenazy. She was also Artist-in-Residence with the hr-sinfonieorchester during the 2014/15 season. In spring 2015 Kopatchinskaja toured with the Royal Stockholm Philharmonic Orchestra and with the Orchestre des Champs-Élysées. Kopatchinskaja was recently named as Artistic Partner of the Saint Paul Chamber Orchestra. Chamber music is of immense importance to Kopatchinskaja’s artistic life and her regular chamber partners include Sol Gabetta, Markus Hinterhäuser, and Polina Leschenko, as well as members of her own family. Kopatchinskaja records exclusively for Naïve Classique. Releases this season include “Take Two!” – a disc of unusual duets with different instruments– and a recording of works by Galina Ustvolskaya with Markus Hinterhäuser for ECM. Pianist/conductor Mitsuko Uchida will return to Ojai in 2021, the Festival’s 75th anniversary. Uchida last performed at the 2004 Festival and was co-music director in 1998. A superlative interpreter of classical, early romantic, and second Viennese School repertoire, Mitsuko Uchida performs with the world’s most respected orchestras and conductors including Cleveland, Chicago, Berlin Philharmonic, Royal Concertgebouw, Bayerischer Rundfunk, London Symphony, Philharmonia, London Philharmonic, Pierre Boulez, Bernard Haitink, Mariss Jansons, Riccardo Muti, Sir Simon Rattle, and Esa-Pekka Salonen. A regular recitalist in Vienna, Berlin, Paris, Amsterdam, London, New York, and Tokyo, she is also a regular guest at the Salzburg Mozartwoche and Salzburg and Edinburgh International Festivals. Uchida records exclusively for Decca and has won many awards, including several Grammys. A trustee of the Borletti-Buitoni Trust and Director of Marlboro Music Festival, Uchida was awarded the Golden Mozart Medal from the Stiftung Mozarteum in Salzburg and the Praemium Imperiale from the Japan Art Association in 2015. She was awarded the Gold Medal of the Royal Philharmonic Society in 2012 and received an Honorary Degree from the University of Cambridge in 2014. Mitsuko Uchida was made a Dame Commander of the Order of the British Empire in 2009. The Ojai Music Festival marks its 70th year this June with Peter Sellars, one of the most innovative and powerful forces in the arts both in America and abroad, as Music Director. Sellars’ partnership with Ojai dates back to 1992, when he directed a daring version of Stravinsky’s Histoire du soldat with Music Director Pierre Boulez. He returned to Ojai in 2011 to direct the critically acclaimed world premiere of the staged production of George Crumb’s The Winds of Destiny with Music Director Dawn Upshaw. The milestone 70th Ojai Music Festival (June 9-12, 2016) pays tribute to a defining hallmark of the Festival – reimagining each year by affording the appointed music director creative freedom to explore their artistic interests and collaborations. Sellars’ vision for the upcoming Festival honors its long-held spirit of challenging audiences musically and intellectually. The Festival welcomes Finnish composer Kaija Saariaho and showcases her works including the American premieres of the chamber version of La Passion de Simone and her newest dramatic creation Only the Sound Remains. Highlights include a commissioned work by Pulitzer Prize-winning composer Caroline Shaw, Don’t Let Me Be Lonely, and the world premiere of Josephine Baker: A Personal Portrait with arrangements and music by multi-instrumentalist/composer Tyshawn Sorey. 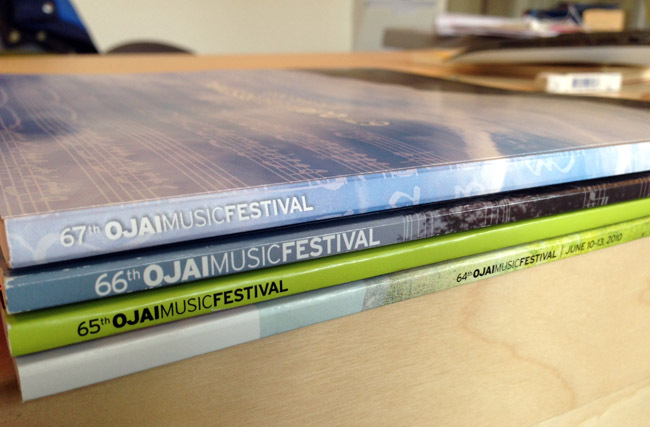 For the complete program, visit www.OjaiFestival.org. Following the 70th Festival in Ojai, Cal Performances’ Ojai at Berkeley takes place from June 16 to 18. The 2017 Festival introduces composer-pianist Vijay Iyer (pronounced “VID-jay EYE-yer”) as Music Director. A Grammy nominee, Iyer was named DownBeat Magazine’s 2015 Artist of the Year and 2014 Pianist of the Year, a 2013 MacArthur Fellow, and a 2012 Doris Duke Performing Artist. He has released twenty recordings under his own name. The latest, on the ECM label, include Mutations, featuring his compositions for piano, string quartet, and electronics; Radhe Radhe: Rites of Holi, a film by Prashant Bhargava, with Iyer’s score performed by ICE (International Contemporary Ensemble); and Break Stuff, featuring the Vijay Iyer Trio. His next record is a duo record with trumpeter Wadada Leo Smith, for release in March 2016 on ECM. Iyer is the Franklin D. and Florence Rosenblatt Professor of the Arts in the Department of Music at Harvard University, and the director of the Banff International Workshop in Jazz and Creative Music. His compositions have been commissioned by Arturo O’Farrill, American Composers Orchestra, Bang on a Can All-Stars, Brentano Quartet, Brooklyn Rider, Imani Winds, ICE, Jennifer Koh, and Yo-Yo Ma’s Silk Road Ensemble. He is a Steinway artist. Conductor and composer Esa-Pekka Salonen returns to Ojai in 2018 as Music Director. One of today’s foremost artists, Salonen made his Ojai debut as Music Director in 1999 with composer-in-residence Magnus Lindberg in a program dedicated to Finnish music, and later returned in 2001 to serve again as music director. Salonen is currently the Principal Conductor and Artistic Advisor for London’s Philharmonia Orchestra, Conductor Laureate for the Los Angeles Philharmonic, where he served as Music Director for 17 years, and the Marie-Josée Kravis Composer-in-Residence of the New York Philharmonic. Through his unwavering dedication to new music and technology, he is a revitalizing force, striving to bring the symphony orchestra into the 21st century. His compositions move freely between contemporary idioms, combining intricacy and technical virtuosity with playful rhythmic and melodic innovations. Salonen’s Floof and LA Variations have become modern classics, and his newest compositions are performed around the globe. Thomas W. Morris was appointed Artistic Director of the Ojai Music Festival starting with the 2004 Festival. Morris is recognized as one of the most innovative leaders in the orchestra industry and served as the long-time chief executive of both The Cleveland Orchestra and the Boston Symphony Orchestra. He is currently active nationally and internationally as a consultant, lecturer, teacher, and writer. As Artistic Director, he is responsible for artistic planning and each year appoints a music director with whom he collaborates on shaping the Festival’s programming. During his decade-long tenure, audiences have increased and the scope of the Festival has expanded, most recently to include a collaborative partnership, Ojai at Berkeley, with Cal Performances at UC Berkeley. Morris was a founding director of Spring for Music and served as the project’s artistic director. He served as a member of the Board of Trustees of the Curtis Institute of Music and as chair of its Board of Overseers, and is currently a member of the Board of Directors of the Interlochen Center for the Arts. He is also an accomplished percussionist. From its founding in 1947, the Ojai Music Festival has created a place for groundbreaking musical experiences, bringing together innovative artists and curious audiences in an intimate, idyllic setting 80 miles northwest of Los Angeles. The Festival presents broad-ranging programs in unusual ways with an eclectic mix of rarely performed music, refreshing juxtapositions of musical styles, and music by today’s composers. The four-day festival is a complete immersive experience with concerts, free community events, symposia, and gatherings. Considered a highlight of the international music summer season, Ojai has remained a leader in the classical music landscape. The Ojai Music Festival attracts the world’s greatest musical artists. Through its unique structure of the Artistic Director appointing an annual Music Director, Ojai has presented a “who’s who” of music including: Aaron Copland, Igor Stravinsky, Olivier Messiaen, Michael Tilson Thomas, Kent Nagano, Pierre Boulez, John Adams, Esa-Pekka Salonen, Robert Spano, Pierre-Laurent Aimard, David Robertson, eighth blackbird, George Benjamin, Dawn Upshaw, Leif Ove Andsnes, Mark Morris, Jeremy Denk, and Steven Schick. Following the upcoming 70th Festival with Peter Sellars, Ojai will welcome MacArthur Fellow Vijay Iyer in 2017 and Esa-Pekka Salonen in 2018 as its music directors. Festival series passes allow patrons to have immersive experiences with music, pre-concert talks, discussions, social gatherings, and an opportunity to enjoy the beautiful Ojai Valley. 2016 Ojai Festival passes, from four-day, three-day to weekend, are available through March 1. Single tickets go on sale in the spring. For more information go online at OjaiFestival.org or by calling (805) 646-2053. 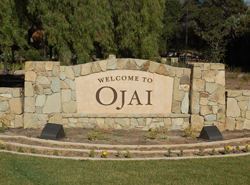 Directions to Ojai and Libbey Bowl, as well as information about lodging, concierge services for visitors and other Ojai activities, are also available on the Festival website. 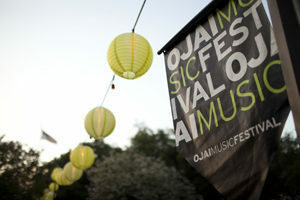 Follow Festival updates at OjaiFestival.org, Facebook (Facebook.com/ojaifestival), and Twitter (@ojaifestivals). All of this is made possible by contributions from generous people like you, who believe in the power of music to transform a community into a refuge from our daily concerns, where extraordinary experiences are shared by artists and audiences. Please consider making a gift by July 31st, the final date of our 69th season. Your commitment is what keeps the Festival strong and makes it possible for us to continue to stake a claim for the new, the curious, the visionary and the path breaking. Thank You For A Successful Holiday Home Look In & Marketplace! Thank you to all the attendees, homeowners, designers, volunteers, and vendors for helping to make this year’s Holiday Home Look In and Marketplace a success! With perfect weather, beautiful homes, and the tireless cheer of the Women’s Committee, we couldn’t have asked for a better weekend. We hope to see you again next year! Explore beautiful Ojai Valley homes spruced up with festive inspirations for you to enjoy! Weather reports are predicting beautiful clear skies for the weekend. 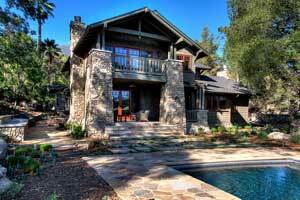 Homes will be given decorative holiday sprucing provided by Ojai Valley designers. Purchase tickets at the Holiday Marketplace – 703 El Paseo Rd. Tickets are $35 a person. 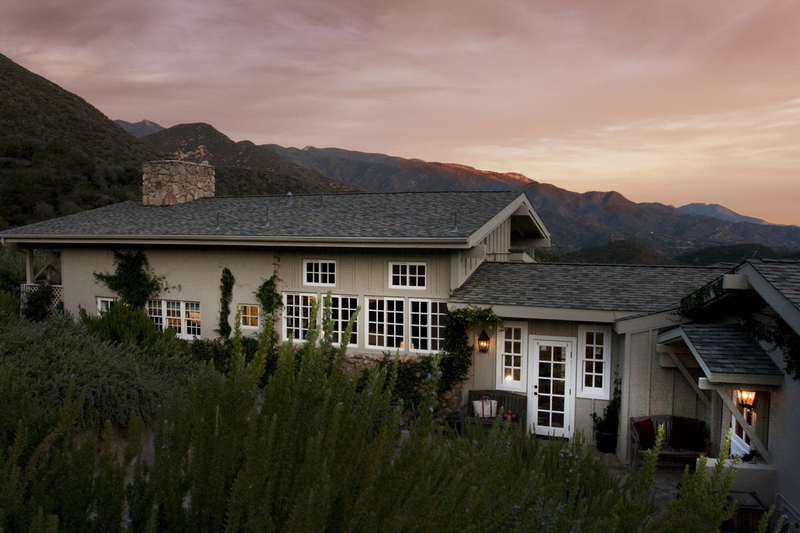 The Ojai Festivals Women’s Committee invites guests on a tour of four distinctive Ojai Valley homes celebrating the art of living and unique approaches to the festive seasons. The 18th Holiday Home Look In, November 15 and 16, is known for highlighting architectural contrasts within the Ojai Valley, a unique feature compared to other home tours in the area. The 2014 homes reflect four diverse architectural styles, starting with a Masonic Lodge built in 1927 and transformed recently into a private residence in the Palladian manner. There is also a beautiful Craftsman in the Greene & Greene style. Completed just seven months ago, it looks like it’s been in place 100 years. The remaining two homes pay homage to contemporary Mediterranean and Spanish influences. Each features exceptional tree- and landscapes and extensive art collections ranging from cowgirl pop to black & white master photography. The tour and marketplace benefit the Ojai Music Festival and its BRAVO program in the schools and community, which offer free workshops and performances to Ojai Valley public schools and the community. The tour price is $30 per person advance and $35 day of the event. A group discount is also available for 8 or more people. For the group discount, please call 805 646 2094. Organizers request no cameras allowed on the tour or children under 12 years of age. Comfortable shoes are highly recommended (no high-heeled shoes allowed). Shuttle service will be provided for one of the homes. Led by Artistic Director Tom Morris and Music Director Jeremy Denk, the 68th Ojai Music Festival will be remembered for its amazing concerts and witty, thought-provoking programs. This record breaking year was marked by sold out performances, the world premiere of Steven Stucky and Jeremy Denk’s comic opera, The Classical Style: An Opera (of Sorts), a substantial increase in impact thanks to the residency of American Public Media’s Fred Child (Performance Today), and enhanced live video streaming, which has already attracted over 7,000 views from 43 countries. All Libbey Bowl concerts and Ojai Talks are now available to view on our website for free. This is just the beginning. The Festival’s creative spirit and commitment to nurturing the musicians of today is stronger than ever. Led by Music Director Steven Schick, the 2015 Ojai Music Festival will include works by 20 living composers. With future Music Directors, Peter Sellars in 2016 and Esa-Pekka Salonen in 2017, Steve will open the door to 70 more years of adventurous programming. We invite you to join us by making a donation by fiscal year end (July 31) and ensure a vibrant future. We support new music, new ideas, new love, and learning. It is our commitment and investment in collective creativity that sets the Ojai Music Festival apart. Your support is important to us, to the musicians and to the Ojai community. Become A Festival Volunteer Today! 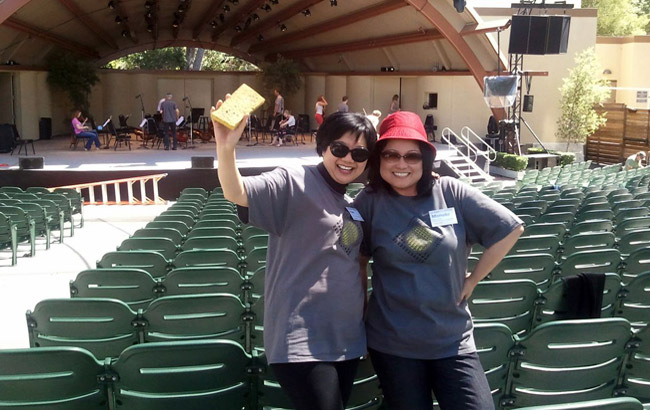 The Ojai Music Festival depends on a large team of talented and dedicated volunteers who take part in all aspects of the Festival. Volunteer opportunities range from working with the Festival’s operations team to ushering, administration, and special events. We invite you to lend your time and talents and be a part of the incredible experience of the Festival. The Ojai Music Festival is made possible because of the support and enthusiasm of others, from the artists and behind-the-scenes team, donors and volunteers, to corporate sponsors and media partners. This year, we welcome some new members to our growing Festival community! Southern California Public Radio (SCPR) is a member-supported public media network that operates 89.3 KPCC-FM in Los Angeles and Orange County, 89.1 KUOR-FM in the Inland Empire and 90.3 KVLA in the Coachella Valley. Edible Ojai & Ventura County is an award-winning quarterly magazine which promotes the abundance of local foods, season by season – celebrating small family farmers, farmers market vendors and local chefs for their dedication to producing the highest quality, organic, fresh and seasonal foods. 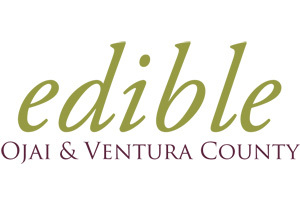 Edible Ojai & Ventura County serves all of Ventura County, an agriculturally rich area within California’s Central Coast region. 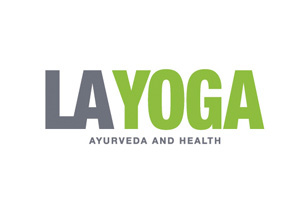 LA Yoga Ayurveda and Health Magazine is a resource for the vibrant Yoga community of Southern California. In print, in the digital edition, online and in free weekly email newsletter, La Yoga publishes inspirational stories connecting Yoga, the people who practice, and what it means in our lives in the modern world. The Ojai Music Festival audience members and donors are highly educated, affluent, and influential. An effective way to reach this desirable group is through advertising in the Festival’s program book or participating in our corporate partnership program. The complimentary program book is an important part of the Festival experience. It is provided at all concerts where it is read before and after performances, as well at the Festival lectures, community events, films, and key places in the Ojai Valley. It is kept long after the Festival, serving not only as as a souvenir but a resource due to the in-depth program notes written by noted musicologist Christopher Hailey. 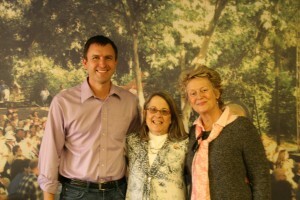 Become an Ojai Member and support the areas of the Festival you feel most passionate about. From education programs to the Jeremy Denk opera commission, there are membership opportunities and giving levels to fit every capacity. Benefits start at just $25 – join us and make your year-end gift today! We thank you again for your steadfast support of and enthusiasm for the Festival. Have questions about your giving? Contact Anna Wagner at 805 646 2094 ext. 105 or awagner@ojaifestival.org. Thank You For Another Successful Holiday Home Look In & Marketplace! With beautiful houses, incredible weather, and a record number of attendees, this year’s Holiday Home Look In and Marketplace weekend looks to be one of the most successful yet! Thank you to everyone who joined us to tour distinctive Ojai homes and supported the Festival and its BRAVO! music education program. During the four-day festival, donors have exclusive opportunities to enhance their immersion experience. This includes a private concert, the opening night party with Music Director Mark Morris and open mic night with the artists. Plus, there are other perks like VIP parking and access to the Festival Lounge. A significant part of the Ojai Music Festival’s legacy and ‘aura’ is its idyllic setting. When When John Bauer first laid eyes on Ojai some 67 years ago, he knew that the Ojai Valley would be the perfect location for an emerging festival for the arts. To this day, Ojai continues to charm not only audience members, but Festival artists who equally fall in love with the intimate, outdoor setting of the Libbey Bowl as well as the eclectic small town and bucolic surroundings. Indeed, the Festival is fortunate to have a backyard of beauty, plus a very supportive community from the residents to the businesses. The many businesses – from lodging, restaurants and art galleries to shops, spas and coffee shops, participate in many ways including advertising in the hefty program book, written eloquently by musicologist Christopher Hailey. Although the Festival has other ad partners outside of the Ojai community, it is the local businesses that support the must-read program book that patrons read fiendishly during the Festival and keep even after the Festival as a memento! Are you a business looking to “win over” a highly –desirable group of arts patrons?